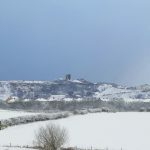 The Duchy of Lancaster’s luxury holiday cottages in Yorkshire and Lancashire have had a record year to March despite – or perhaps because of – the exceptional wintry weather during the last few months. 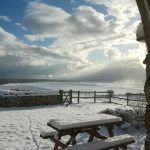 In Yorkshire and Lancashire many well-loved beauty spots were literally transformed into a winter wonderland overnight. Those who dared to brave the elements were able to enjoy exhilarating walks across the snow-covered open countryside culminating in a warm welcome from local hostelleries and restaurants. 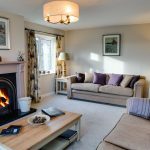 For those who preferred to remain indoors, the triple-glazed windows, ambient under-floor heating, large comfortable sofas and wood-burning stoves in each of the cottages provided a snug and cosy retreat from the rigours of the ‘beast from the east’. Winter ‘stay-at-home’ breaks are increasingly popular in the UK due in part to fluctuating currency markets and concerns around Brexit. Many industry experts predict that ‘staycations’ will continue to rise as British people look to minimise travel time and maximise value for money. The Duchy of Lancaster operates a total of 17 4- and 5-star holiday cottages in areas of outstanding natural beauty across its Lancashire and Yorkshire estates, including the Forest of Bowland in Lancashire and the clifftops above the Cleveland Way in Yorkshire. For further information on the standard of accommodation available or to enquire about availability or make a booking please visit www.duchyoflancasterholidaycottages.co.uk.